What is a first response certificate? 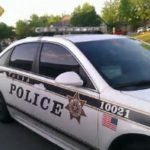 Well in Tulsa and Broken Arrow Oklahoma as well as other cities around the State it is a permit or fee to register your alarm system with the city’s emergency management system. Instead of fining owners for excessive false alarms, the city now stops providing an immediate Police response unless certain conditions are met. A first response certificate that is not renewed within ninety 90 days after its expiration shall not be renewed. CITY OF TULSA Application for First Response Certificate. Complete all sections of the application and submit it to City of Tulsa Business Licensing with the 30. The costs of these vary by city but generally cost $30.00 per year. Bottom line is that if you don’t have a certificate/Permit the Police are not responding to your next alarm. The bad thing is most people don’t know this even though alarm companies tell us about it when they install or activate a new system or user. It just seems to be one of those things that goes in one ear and out the other so to speak. Take 5 minutes and google your city no matter what state you live in to see if you are required to have a First Response Certificate or similar permit. You will be glad you did some day.